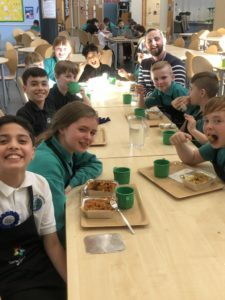 This past week, Group 1 from P5B enjoyed making a delicious, healthy, flavorsome vegetable curry as part of their cooking sessions on a Wednesday afternoon. We first had to try and guess a variety of spices – from smell and taste – that we were going to use in the curry, including cinnamon, dried mustard and cardamon. We then got to work in chopping up some of our ingredients – onions, garlic and spinach – before cooking these in a pan. After adding in some final ingredients, we were then able to sit down and sample our afternoon’s work. 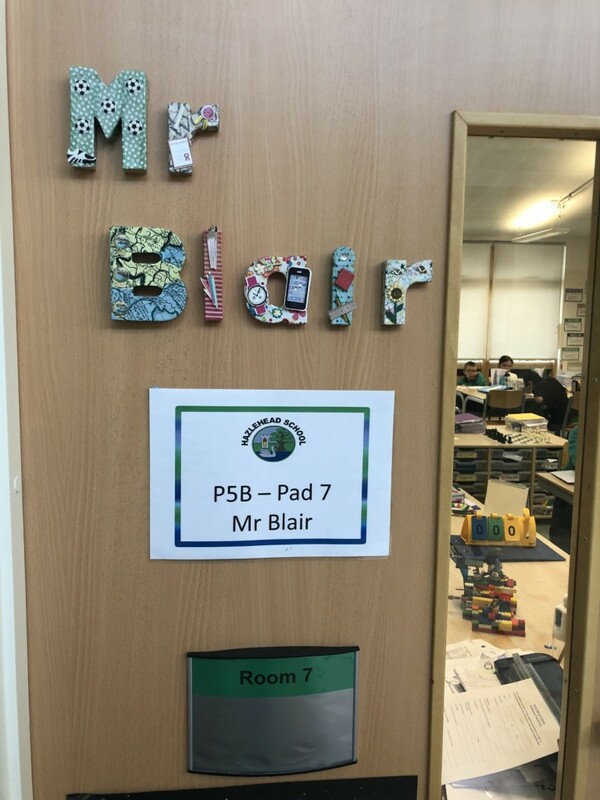 It was safe to say that Mr Blair hadn’t heard the children that quiet all year! Well done, Group 1, and thanks to our expert chefs Samantha and Ella for teaching us how to make this delicious curry! 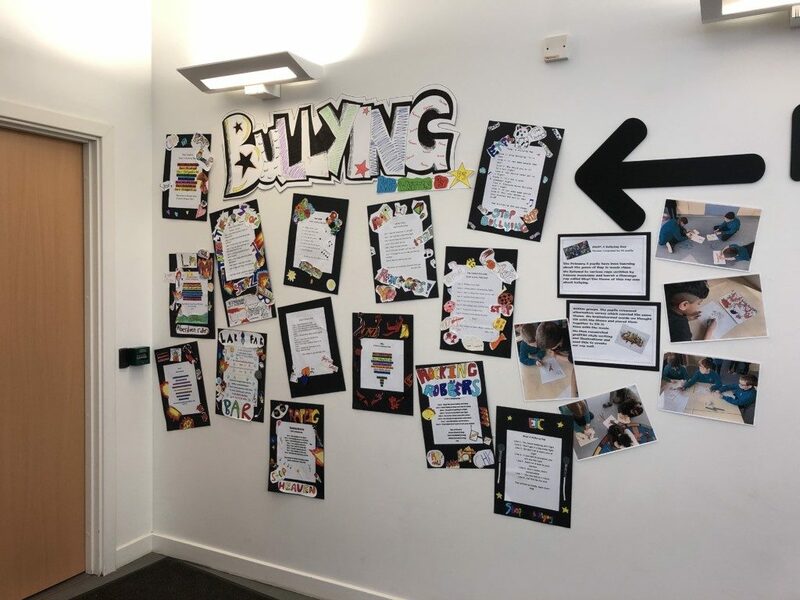 Over the last 4 weeks, both P5A and P5B have been working hard during their music time with Mrs Fisher, creating raps about bullying in the school. 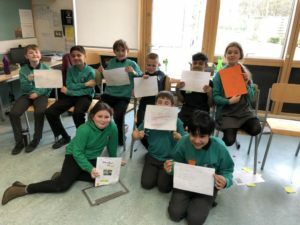 The first step was to build a bank of suitable rhyming words which they could use at the end of each line, before fitting short, snappy sentences in to match with the appropriate syllables. 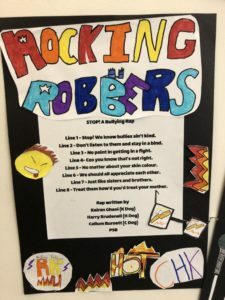 These were then typed up on Google Docs, before designing a colorful and attention-grabbing poster related to their rap. They even got to create some graffiti-style pictures and phrases to match the theme! 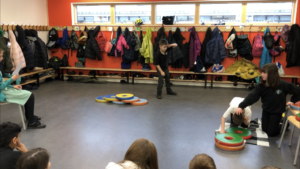 An excellent effort all round, P5! Captain Edward J. Smith? The lookout boy, Frederick Fleet? Bruce Ismay, the managing director of White Star Line? The chief officer on-board the Titanic, William Murdoch? 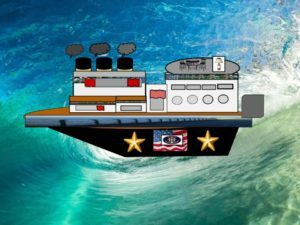 Or Stanley Lord, the captain of a close-by ship who failed to help? 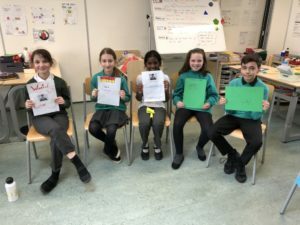 P5B had A LOT of fun analysing, discussing and debating who they thought was most responsible for the unfortunate deaths on-board the R.M.S Titanic this week! We had to study evidence, listen to accounts from the suspects, and then compare and contrast the different reasons for guilt / innocence in order to individually make a final decision. After the groups were made up, we had a very passionate but respectful debate, with each group trying to convince the judge that their suspect was guilty. 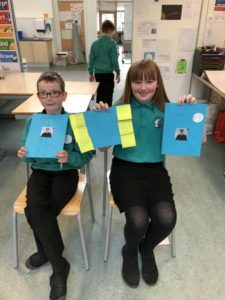 Well done, P5B! 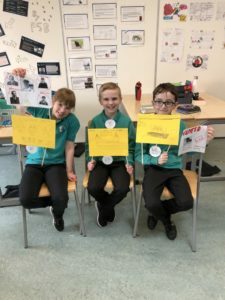 A debate where all of our schools values were displayed throughout – Respect, Responsibility, Opportunity, Courage and Fairness! 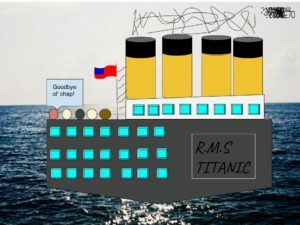 To help our understanding of what the Titanic looked like, and the journey that Johnny Trott, Lizziebeth and Kaspar went on in April 1912, we used Google Drawings to design a replica of “The Unsinkable Ship”. 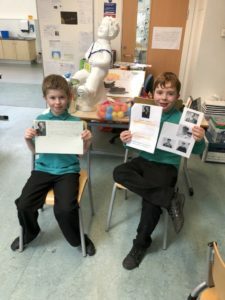 The children were challenged to add as much detail as possible, and used primary sources to aid their vision of what the Titanic looked like from the outside. 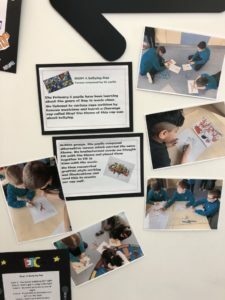 The children used a range of skills, including: inserting a picture from the web for the background, inserting several different shapes for the different parts of the ship, changing the size and colour of these shapes to match a description and using the ‘drawing’ tool to add extra detail! 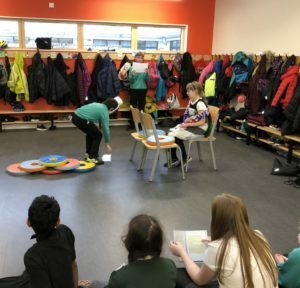 As part of ‘Our Literacy World’ focus, P5B have been studying Kaspar, Prince of Cats by Michael Morpurgo. 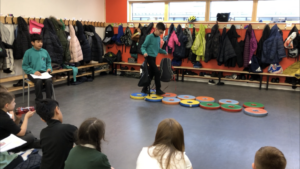 A large part of our learning has been centered on character, and how Morpurgo is able to ‘bring to life’ the actions and feelings of Kaspar, The Countess and Johnny Trott through detailed descriptions and metaphors.